This month’s WIAW theme is all about fun, food, and fitness! Before every workout I have a cup of coffee. Some people laugh at me when I tell them that and others think I’m just crazy. And then they try it and realize that it’s pretty genius. Coffee wakes up your muscles and gets them ready to give you one fierce workout. Seriously. That’s why you always see me downing a cup before a run or carrying one into the gym. The best time to drink a cup of these glorious beans are within 20 minutes of your workout. On race days, I just drink my coffee when I feel like it. It’s not like I’m going to carry a thermos with me to the starting line. Especially because I don’t have a personal assistant to hold everything for me during races. 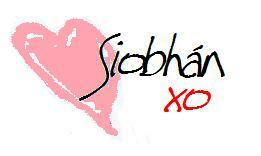 I am accepting applications if you are interested though! 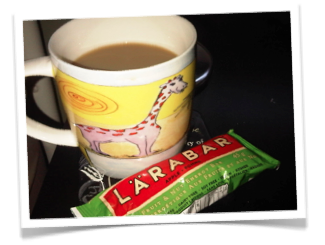 Larabars are a great light snack for me pre-run. Or a banana! I actually have a thing for banana’s. I always have and I probably always will. Banana’s are a quick way to get energy up which makes them perfect for a go-to pre-workout snack. Now for some fun! This month’s playlists have started up again! Since it’s early in the month, these playlists aren’t full but you can check out my PLAYLISTS TAB for June’s Playlists if you want to pump up your playlists! Happy Fourth of July to my American friends!! Yes, yes, yes! Every morning that cup brings a smile to my face!